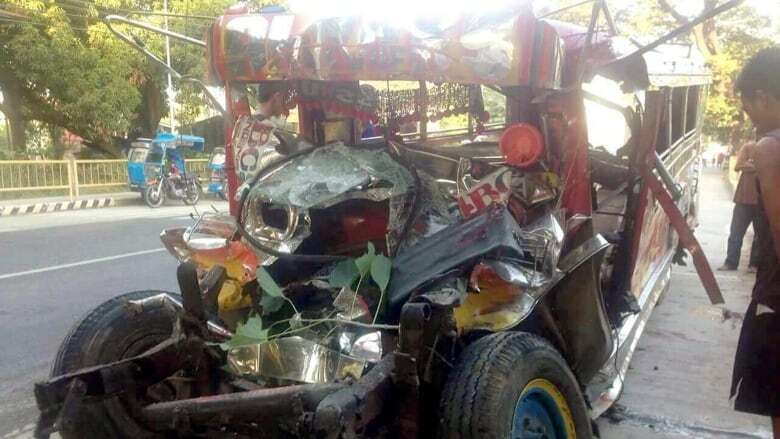 Police Chief Superintendent Romulo Sapitula said all those killed in the pre-dawn collision in La Union province's Agoo town were in the van, known as jeepneys. Another 10 van passengers, along with the driver and 17 other occupants of the bus, were injured. The van's engine was ripped off from the impact of the crash. Rickety passenger buses and jeepneys, lack of safety signs, poor law enforcement and reckless driving have been blamed for many road tragedies in the Philippines.